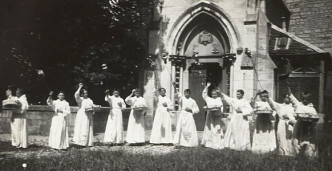 Young pomponiards – Page 3 – I komu to przeszkadzało? 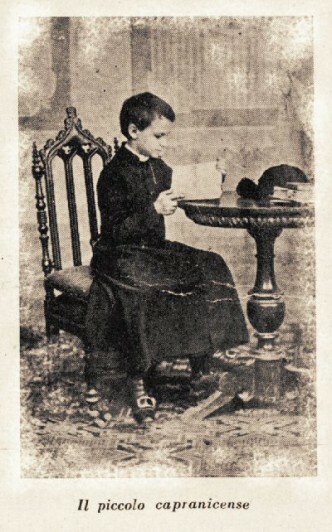 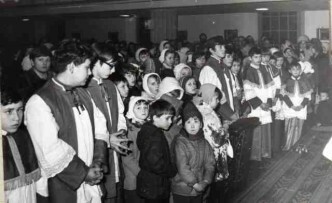 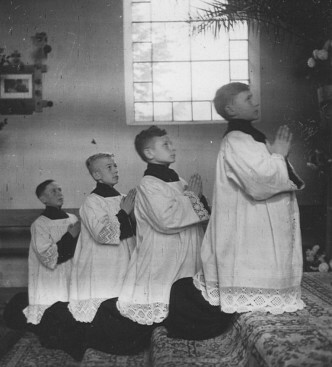 Be cool – be an altar boy! 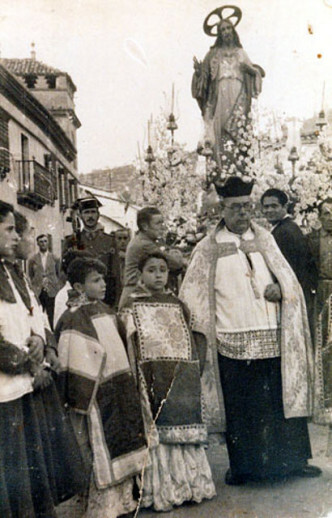 Introíbo ad altáre Dei * ad Deum qui lætíficat iuventútem meam. 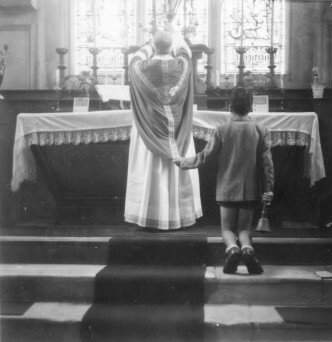 If you cense, do it with the style. 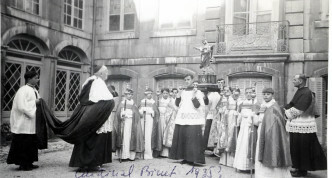 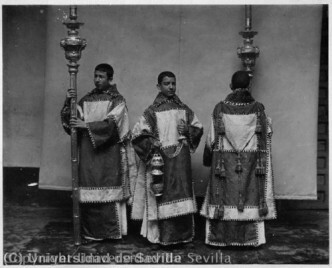 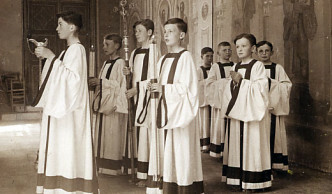 Altar boys from France, practising before a Corpus Christi procession. 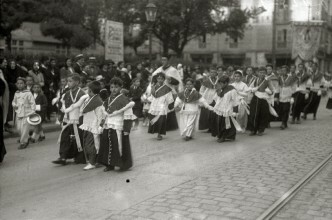 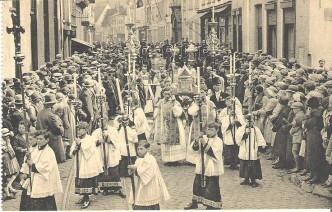 A procession of Most Sacred Heart of Jesus. 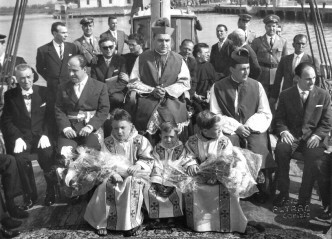 The city of Grado, the seat of one of patriarchates which, in the year 1451, was incorporated into the Patriarchate of Venice. 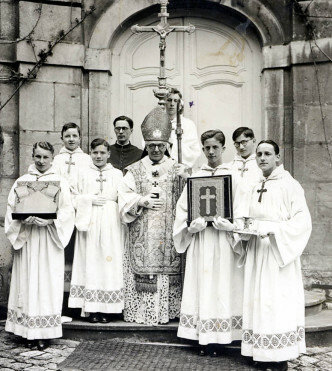 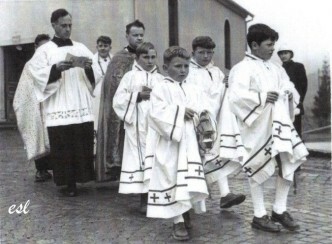 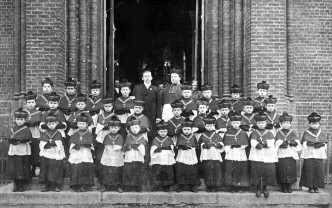 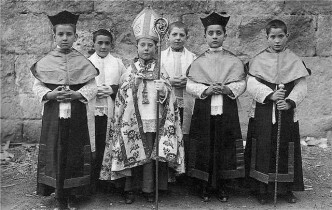 French altar boys from Alsace, 1956 [the source of the photo]. 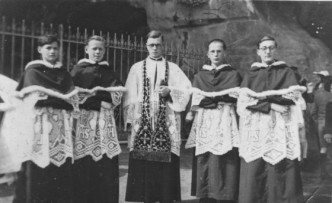 White cassocks, but with dark cuffs and collars, and dark sashes – some pompon! 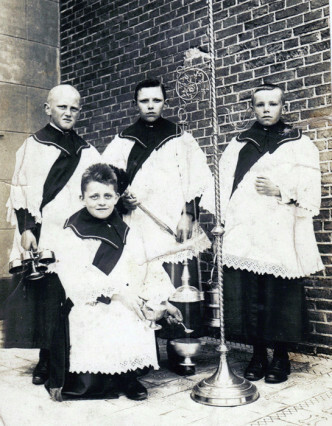 These bands look almost like the deacon’s stoles. 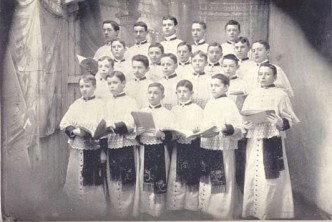 Choirboys in mozzettas with hoods and furry trim [source]. 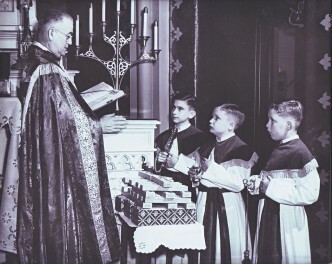 The blessing of wooden pencil cases?